Mechanical engineering deals with the design, manufacturing and maintenance of mechanical systems and has continually evolved to incorporate advancements in technology. Mechanical engineers are constantly pushing the boundaries of what is physically possible in order to produce safer, cheaper, and more efficient machines and mechanical systems. 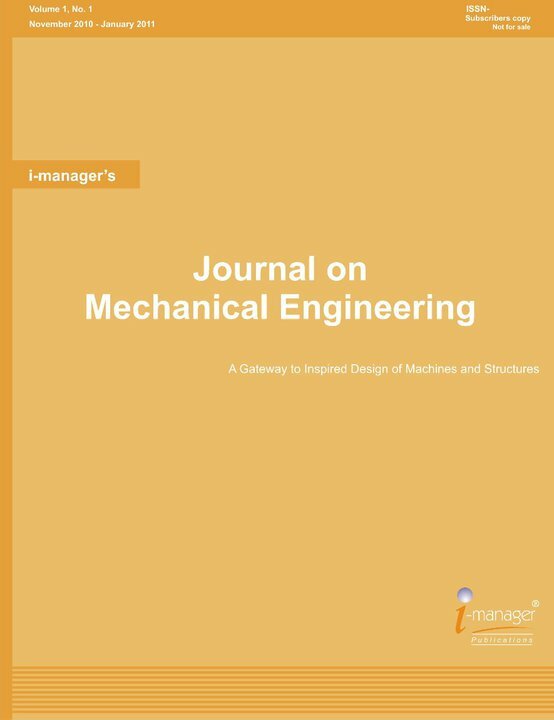 The Journal on Mechanical Engineering aims to provide an international forum for academicians, researchers, students, Mechanical Engineering Professionals, leading Corporate and Academic bodies to transfer knowledge in the main and emerging areas of the field. The Journal follows a double blind peer-review process. The submitted articles / research papers are reviewed by Professors/ Educators of Mechanical Engineering. Academicians, practitioners and post-graduate students of Mechanical Engineering, University Educational Bodies, Researchers, leading Corporate etc.